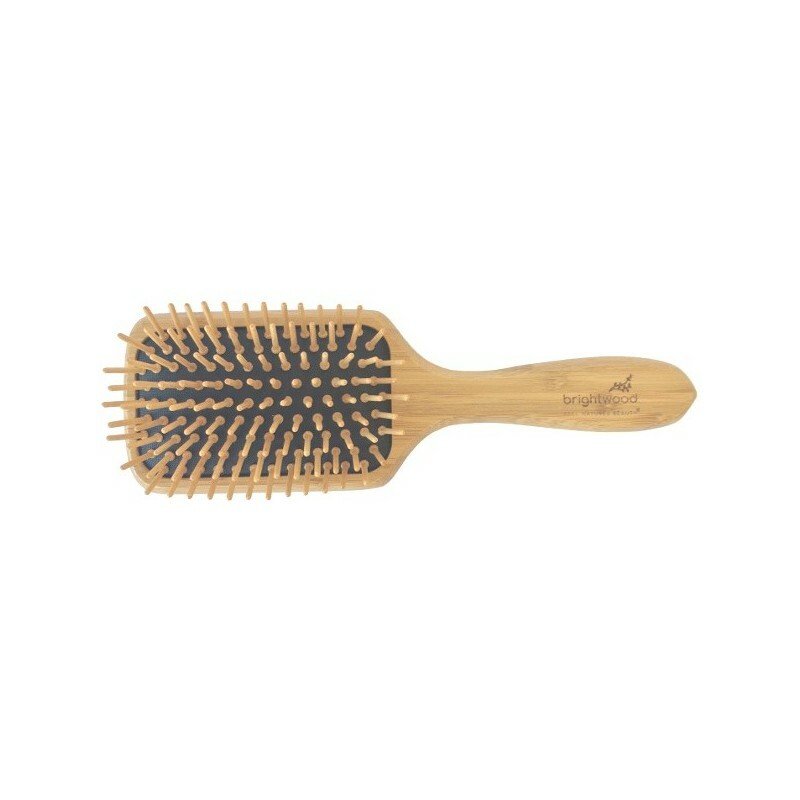 A bamboo detangling brush for wet or dry hair. 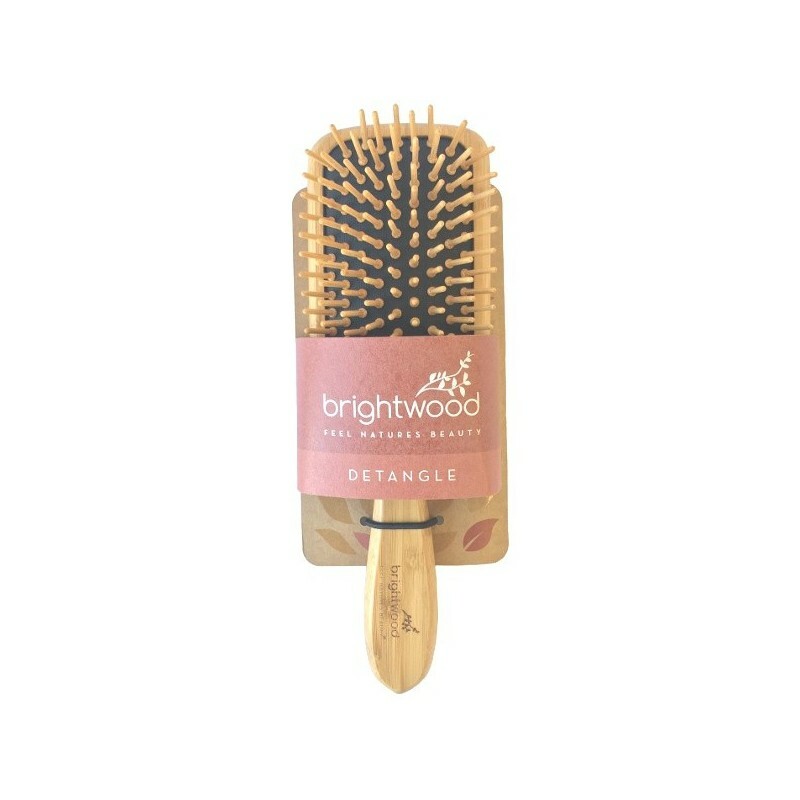 Hand crafted, naturally anti-static and massaging, this paddle brush reduces hair breaks and split ends while distributing natural oils through your hair. 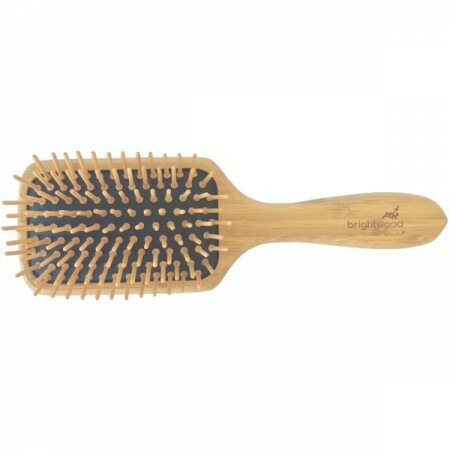 A great alternative to plastic and animal trim brushes. Wood helps distribute natural oils through hair. Rounded teeth for a gentle massage. Browse our other hair styling products.